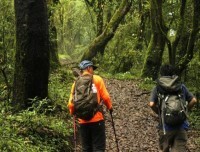 A full day Shivapuri National Park hike starts from Kathmandu. 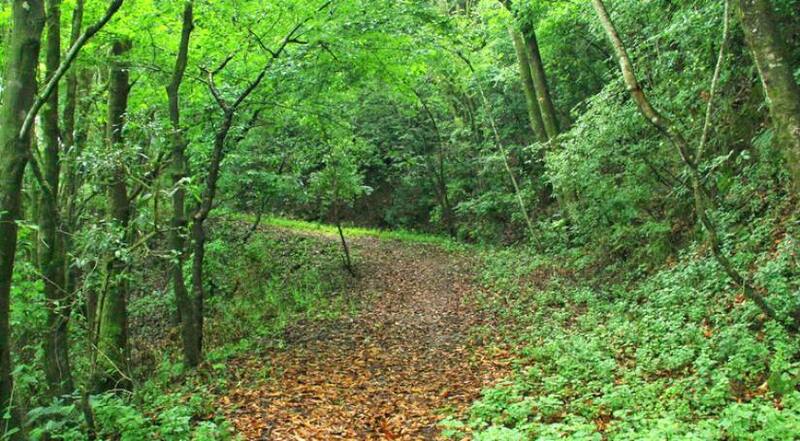 Visit the Budhanilkantha Temple on the way to the park, a protected forest that is home to more than five hundred native species of plants and animals. 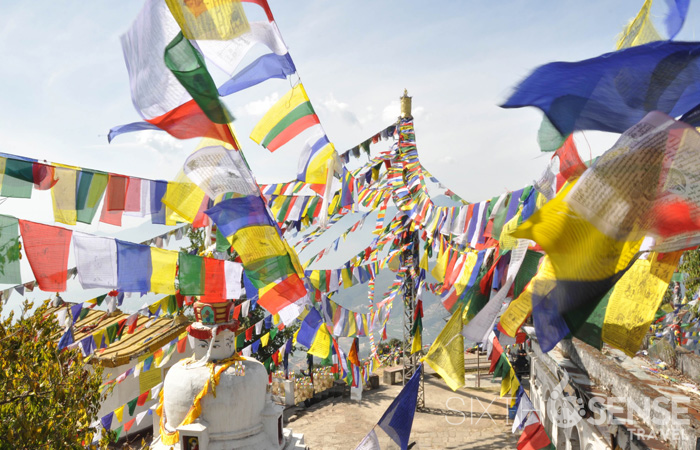 With your local guide in the lead, climb a combination of gentle stone steps and walking trail to the peak of Shivapuri at 8,963 feet (2,732 meters) in elevation. Enjoy lunch while admiring views of the Langtang Mountain Range. Round-trip transportation from Kathmandu hotels is included. 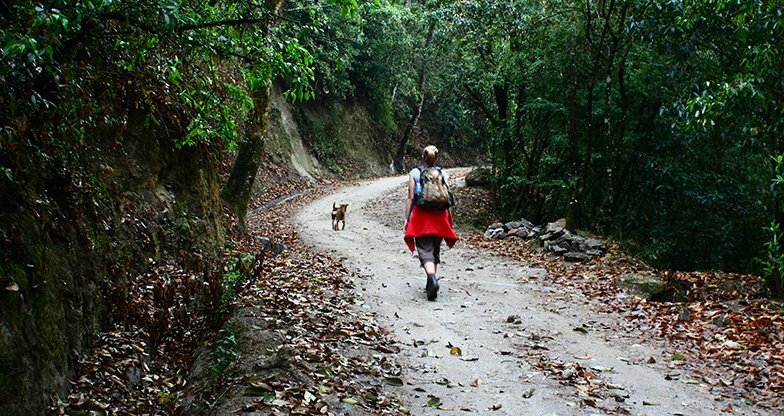 Take a full-day hike in the Shivapuri National Park, located near Kathmandu. 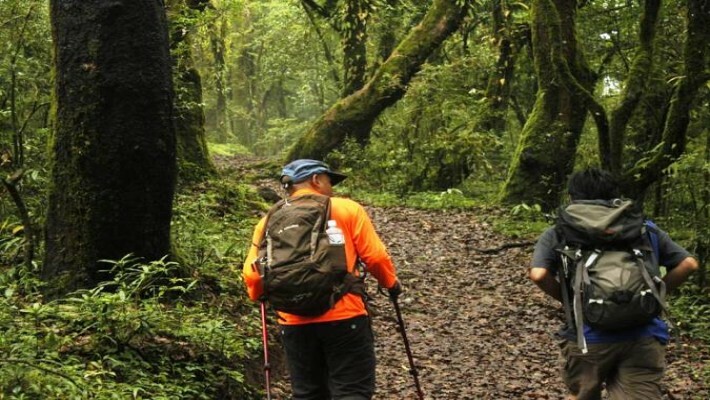 On this trip, you will observe the beauty of the area's lush surroundings as you hike to the top of the Shivapuri peak. In the morning you will be picked up at your hotel by your driver and guide. After 20 minutes of driving, you will arrive at the Budhanilkantha Temple, 5 miles (8 kilometers) north of Kathmandu. This temple is famous for the pond with a large statue of the reclining Vishnu. 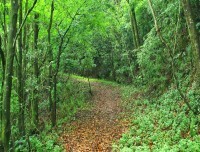 From Budhanilkantha, drive uphill to reach the gates of the Shivapuri National Park. This area is a government-protected forest where more than 500 species of animals are found. Start your hike from the southern boundary of the area. 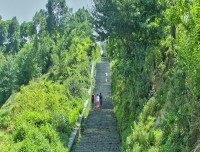 Be ready to climb stairs, as part of the trail consists of stone steps, leading you slowly but gently to the peak. On the way, pass Nagi Gumpa, the only monastery where nuns can practice Buddhism, and a place that foreigners often visit for meditation. 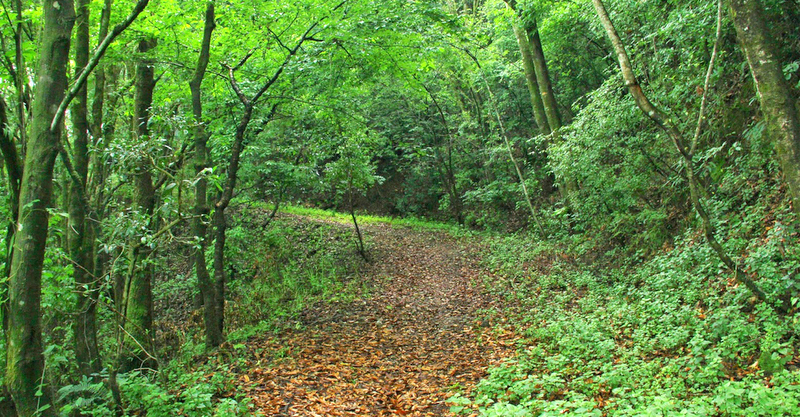 It is a steep uphill hike along narrow trails that gradually lead up to Shivapuri. 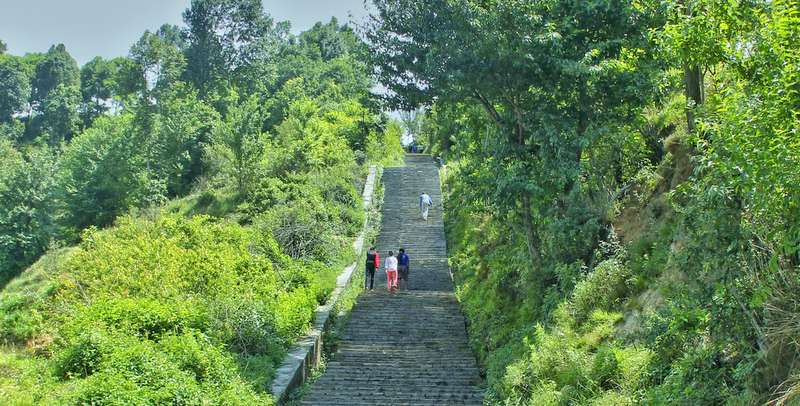 Continue on to pass by the starting point of the Bagmati River, and your surroundings will beckon you to rest and enjoy the beauty of the forest. Finally, you will reach the peak, located at an altitude of 8,963 feet (2,732 meters). From here, you can look out over toward the Langtang Mountain Range and enjoy lunch. Stroll around for a short time before taking a shortcut downhill and returning to Kathmandu. 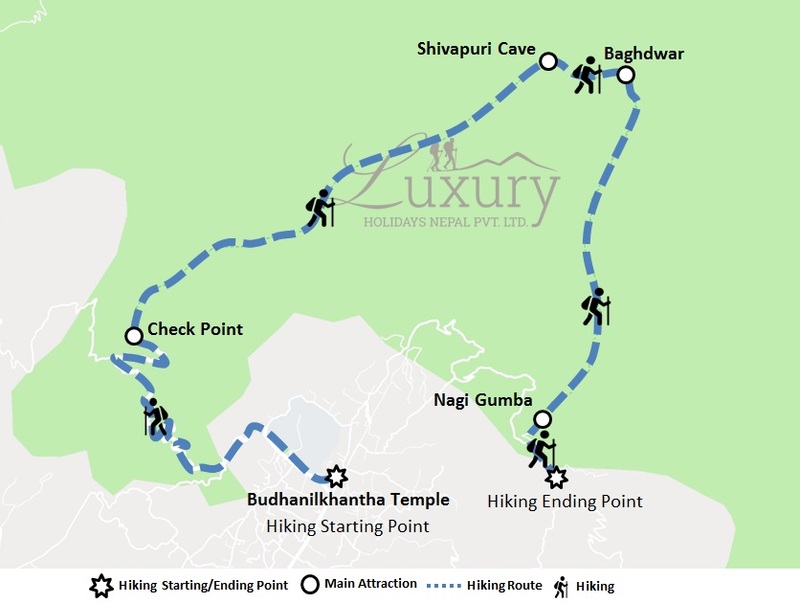 Luxury Holidays Nepal will offer you private luxury vehicle for pickup and drop.